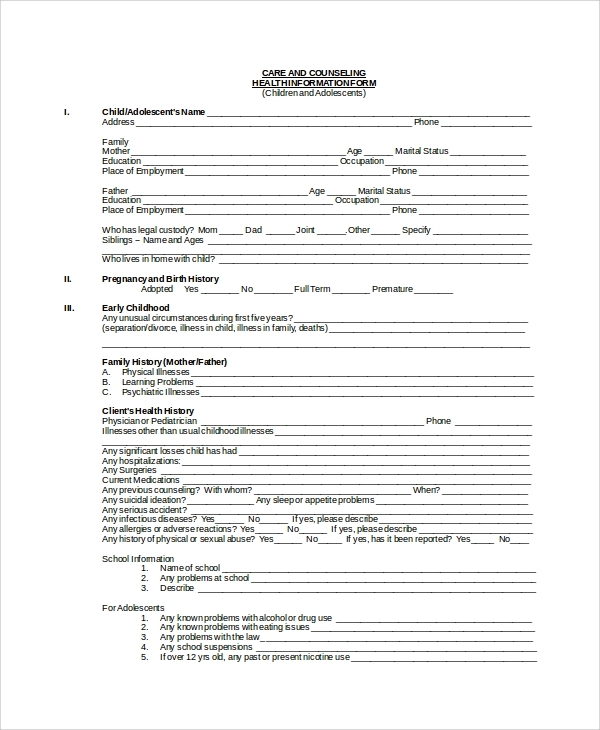 The family health history is the medical history of the patient along with the family history . It keeps record for 3 Generations of relatives including their grandparents, uncles, aunties, nephews, nieces, brothers and sisters. The diseases is based on genetics and the doctor can also analyze the risks his patients may have. The risk of heart diseases, asthma, diabetes and other rare condition can be recognized by looking at the family health history. 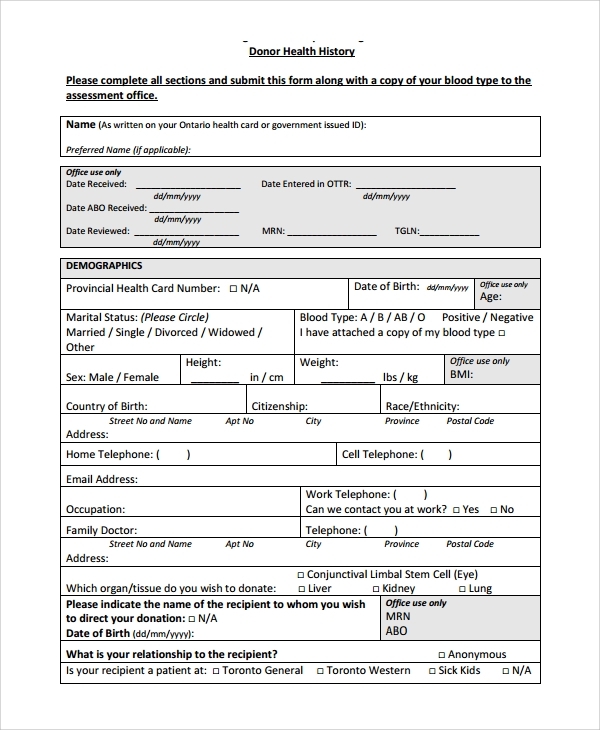 As the name suggest it is the personal health history of the patient available with the doctor. It contains the history right from the vaccination taken to the diseases he has had. It will have all the medicine the patient has had and any allergic condition. 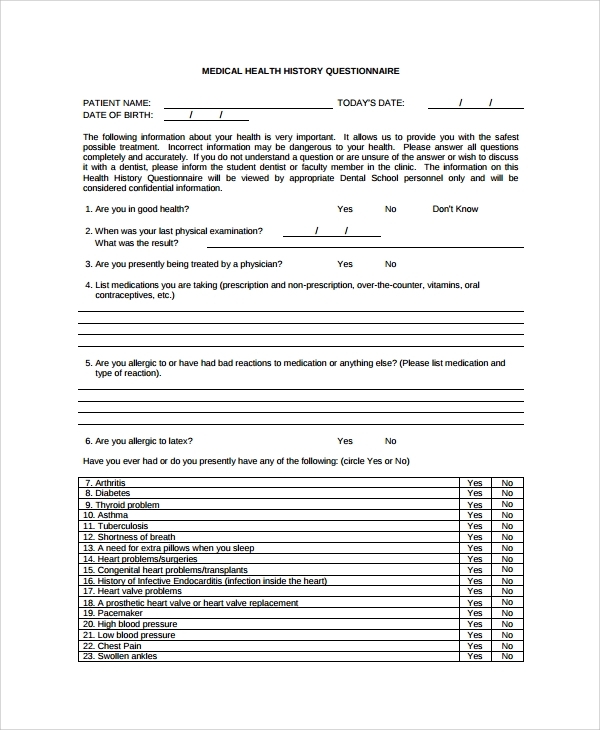 The personal health history can make the doctors life easier and reduces any mistreatment. 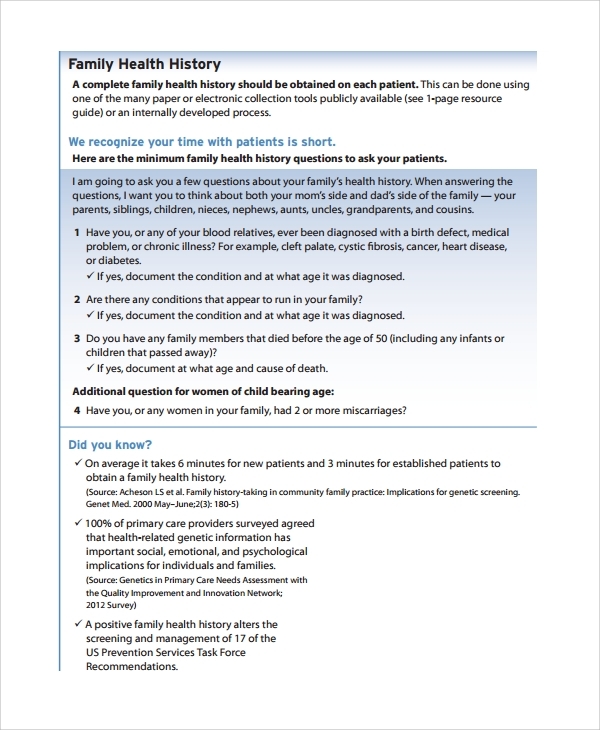 Microsoft has created a health history template which can be used to create a health history of patients. 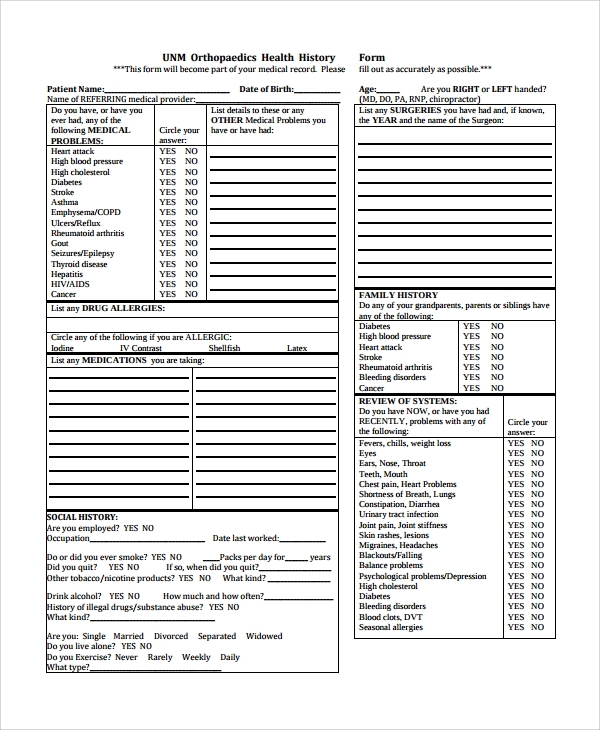 It is a Word template and can be used by any doctors as a base reference. Another way is that there are Microsoft templates available with vendors who can download and use the templates for further use. 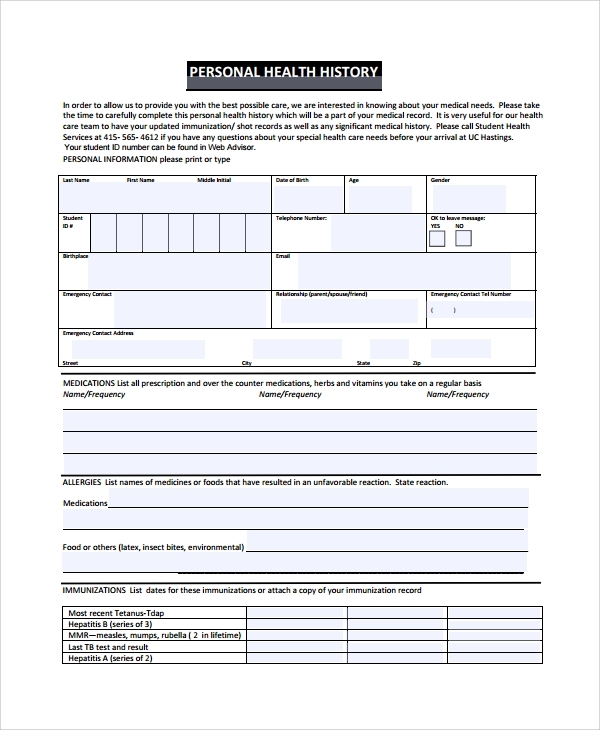 The Microsoft health history template is the most comprehensive template available. The details of the past medical conditions before the occurrence of this disease is called as past dental health history. It has the question to access all the information about the patient about the health of his teeth. 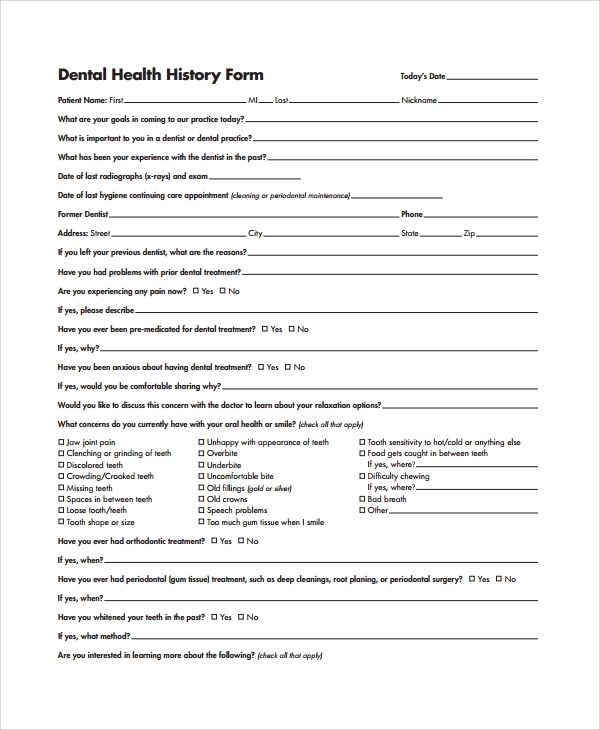 There would be questionnaire on any earlier dental issues and medicine take for the same. – Name and details of the patient. – Any illness a patient has. It is good to give all options and he can tick on the ones he has. 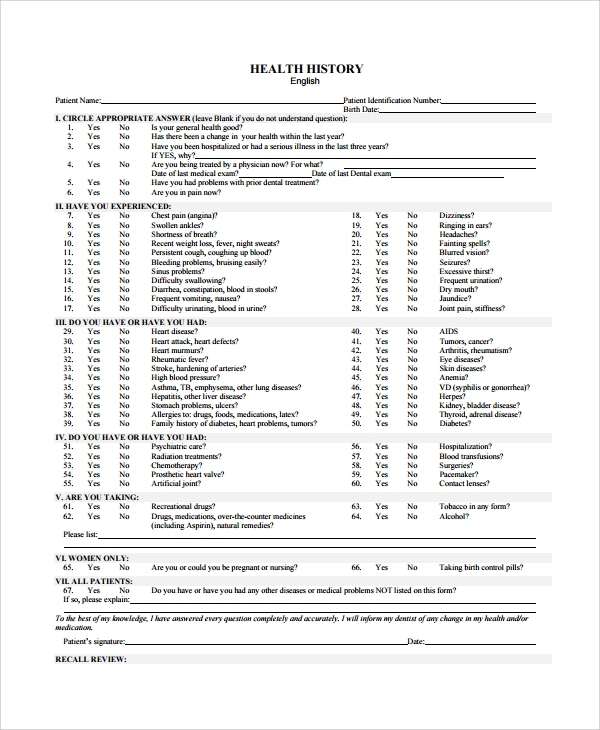 The above will help create a good health history template which can be used by doctors for their patient. It will act as a guide and write down the health history. 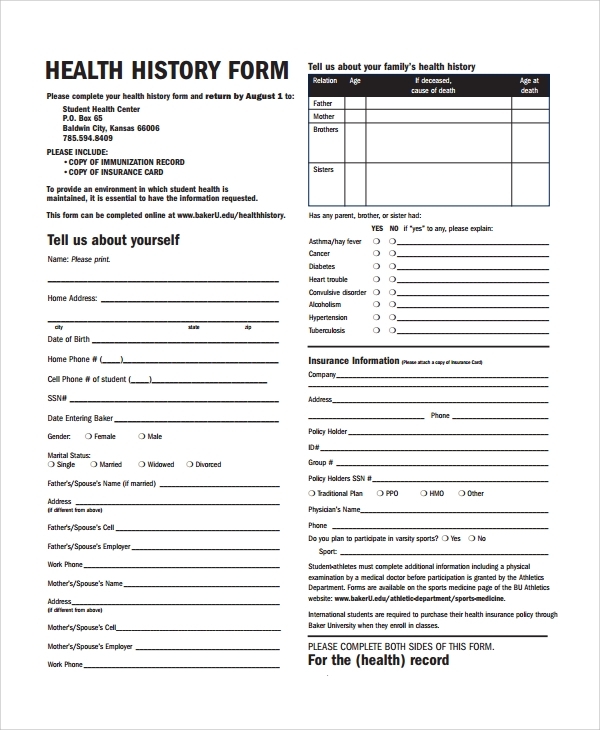 The health history template is created by expert physicians in our organization. 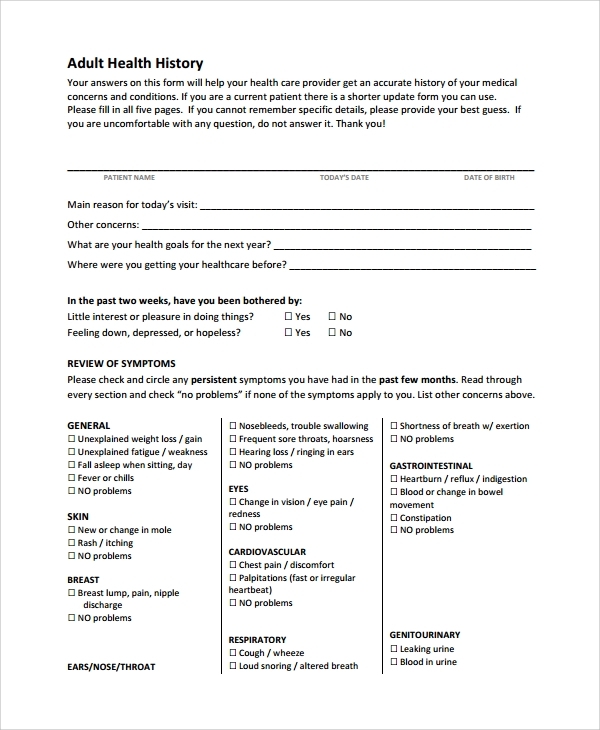 Download it and use it to create health history and one can add certain things which you think is important to your organization. You can get in touch with us and we can modify the template for you so that it suits your need.